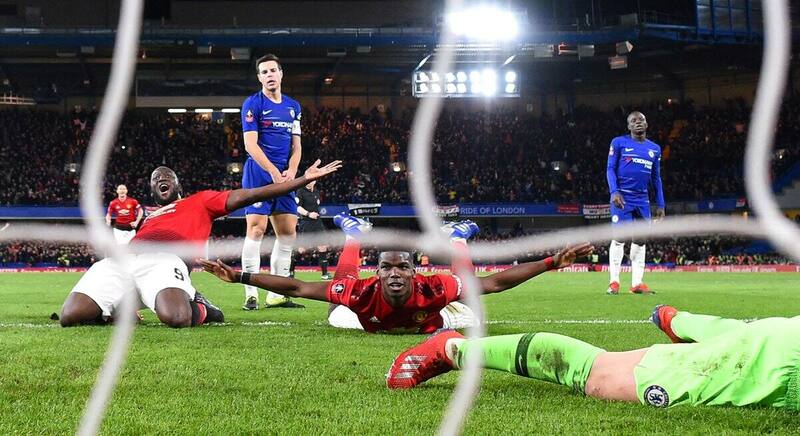 Chelsea vs Manchester United ended in 2-0 win for the visitors as United bounce back to winning ways after defeating the Blues at Stamford Bridge. A slot in the last eight of the competition was on offer for both sides, with the two rival clubs meeting in what was a repeat of the tournament's last season final. At the time, Eden Hazard's solitary goal gifted Chelsea a slim 1-0 win, as they went on to claim the trophy. However, the Red Devils had a perfect revenge on the west London side, with Ander Herrera and Paul Pogba combining perfectly to send United to the quarter finals. Herrera opened the scoring for the visitors in the 31st minute, heading home from Pogba's brilliantly curled cross. The French star doubled United's lead moments before the break, ramming a low header past a helpless Kepa who was between the sticks for the home side.